Trimble S7 Total Station – Utility Mapping Services, Inc. 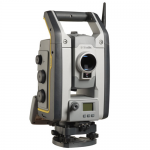 The Trimble S7 Total Station combines scanning, imaging and surveying into one powerful solution. Now you only need one instrument on the job site to perform all your data capture. Create 3D models, high accuracy visual site documentation, point clouds, and more using the Trimble S7.